Dr. Patel earned his undergraduate degree from King’s College, London, and attended dental school at Nova Southestern University in Florida. He completed specialty training in prosthodontics at the University of Alabama, where he also recieved a Master of Science degree. He has also trained with the Albert Einstein College of Medicine in New York. 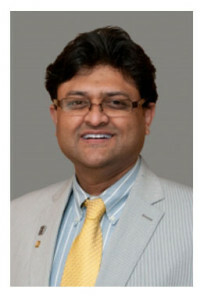 During his training, Dr.Patel received extensive training in implant reconstruction, esthetics/cosmetics, crowns, bridges, veneers, inlays, complete and removable partial denture, TMD-Jaw Joint problem, traumatic injuries to teeth and supporting structures, snoring and sleep disorders, post cancer reconstruction and continuing care. Prosthodontists are masters of Reconstruction. Dr. Patel is recognized by the American Dental Association for his expertise in prosthodontics. He is a volunteer dentist at The Ben Massell Clinic in Atlanta, which serves nearly 6000 patients annually by providing them with vital oral health care. He also teaches dental students on rotation from Medical College of Georgia and is actively involved in teaching and research and receives referrals form practicing dentists across the state. Dr.Patel also serves as a manuscript reviewer for Journal of Prosthodontics, a premier professional peer reviewed journal published by American College of Prosthodontics. He resides in Marietta with his wife and two daughters.